2014-2015 Annual Report: another year filled with accomplishments for HETS. 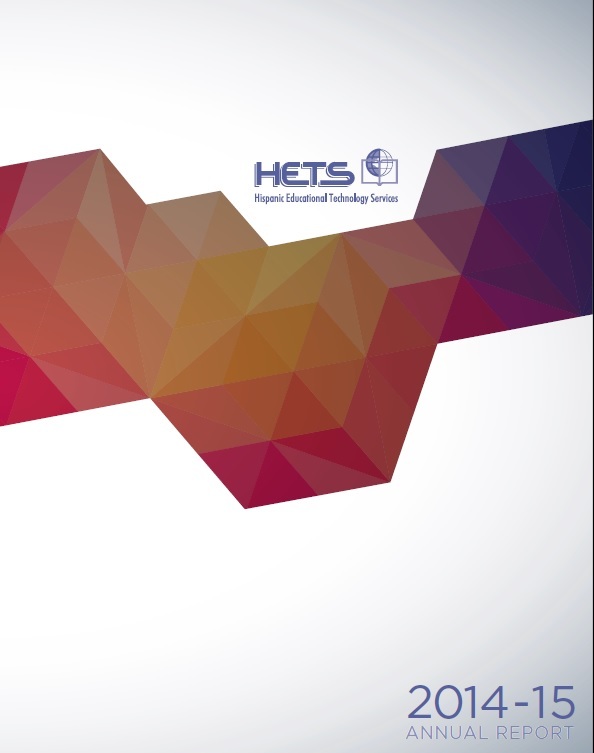 HETS recently published and shared the print and electronic version of its 2014-2015 Annual Report, a product that showcases the yearly accomplishments of this organization and the results of the collaboration among its more than 40 members. Year 2014-2015 was the third year of implementation of HETS Strategic Plan. HETS strategically focuses on services and opportunities that use technology to increase Hispanics’ access to Higher Education, optimize the retention of Hispanic students, and support the establishment of a solid culture of assessment at the postsecondary level. “It has been an honor to collaborate with our members, partners, and collaborators once more. This year’s efforts surpassed our plans and expectations. We were able to continue impacting multiple constituencies from our member institutions, including students”, expressed the Executive Director of the Consortium, Yubelkys Montalvo. During year 2014-2015, HETS celebrated its Virtual Best Practices Showcase. In total, the event gathered 119 participants from 25 institutions. In addition to the VBPS, HETS organized this year its first ever Student Leadership Showcase, which allowed the organization to directly reach out to and impact students. The event also helped identify leadership from student organizations and innovative student projects. Overall, HETS connected with more than 734 students from over 20 institutions. HETS also continued to offer online professional development opportunities in Spanish and English. These included its signature online certification on the Integration of New Technologies in Higher Education. Also, HETS organized several educational events in collaboration with member institutions and corporate partners. These included the HETS Information Technology Showcase, the Nursing Programs event, the Cengage Learning event, and the Student Support Services event. The provision of online services and support through web strategies, online resources, and dissemination through social networks was another significant strategy during the 2014-2015 year. The Virtual Plaza, in particular, includes resources for students, faculty, and institutional administrators and hosts the Testing and Education Reference Center (TERC) and the Career Transition service. In addition, HETS offered free access to the National Geographic virtual library in February 2015, thanks to the existing alliance with Cengage Learning. Another popular service to HETS members is the HETS Online Journal. In 2014-2015, two issues were distributed and made available online. These accomplishments, among others, are highlighted in the 2014-2015 Annual Report. In addition, for the first time, HETS dedicates a section of its Annual Report to recognize several of the leaders who are not part of the Consortium any longer because of their decision to enter into retirement, but who helped build what the HETS Consortium is today. Throughout its history of more than 20 years, HETS has been privileged to gather an outstanding number of renowned educational leaders. Many of these leaders have guided the organization’s steps since its inception, as founding fathers, while others have joined along the way, leaving significant contributions. The 2014-2015 is currently available in the Publications section of the HETS web portal (www.hets.org). For more information about this publication or HETS initiatives, you may contact the HETS office at 787-250-1912, extensions 2372, 2373.